You’ve decided to make the smart move to sell your junk car for cash. You got rid of that beater that’s been sitting your hard and have some crisp dollar bills to show for it. Now what? Do you plan on searching for sale by owner sites to see if you can luck out? Or have you had enough problems with lemons and want to pick up a deal on something that’s proven to be in good condition and taken care of by the previous owner? Or maybe you’ve had enough of taking on other people’s problems and decided to use your cash as a down payment on a brand new shiny car. Depending on your specific circumstances, a new, used, or certified pre-owned may be your best choice. Just make sure you’ve weighed the pros and cons of each buying type so you can make an informed decision. The feeling of a brand new car is something you won’t get from a used car. You’re the first owner, possibly the first to even drive the vehicle at the dealership. But how much are you willing to pay for that feeling? Most everybody knows that new cars depreciate, and fast. In fact, on average that brand new car loses ten percent of its value the minute you drive it off the lot! By the second year, the new car depreciates another 10%, and does another 10% each year afterward on average. This means that the car you paid market price for isn’t worth close to that a year later. However, this depreciation amount is worse than it sounds, as choosing to buy a new car comes with benefits that can make up for some of the value lost. A manufacturer’s warranty will cover most, if not all, issues and maintenance for your new car for a certain amount of time. Then of course there is the option for an extended warranty, which can give you peace of mind for several more years; just make sure it’s backed by the automaker itself instead of the dealership or some other third-party. If you’ve decided on a new car and know that you forget to go in for recommended maintenance sometimes, having a warranty to cover breakdowns can save you expensive costs later down the road. If you want to finance your new car, you can get several incentives that you won’t get from a private party. Bonus cash or cash back can give you some money in your pocket right away. You may also be able to get special leases or low financing. 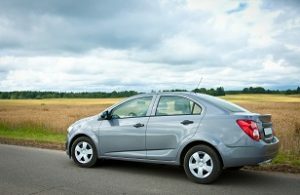 Certain types of vehicles, such as electric fuel vehicles, come with a $7500 income tax credit as well as up to a $2500 rebate depending on the state where you purchase it from. A certified pre-owned (CPO) car is a vehicle that has been inspected by a factory-trained mechanic and found to be in good mechanical condition. A factory-authorized CPO must have less than 80,000 miles and be less than five years old. Similar to when you buy something used from an online retailer and they have a “Like New” condition, CPOs are the equivalent for cars. Each manufacturer has a different set of guidelines they go through before they’ll certify a used car. Often, a vehicle that nearly passes the inspection will be repaired before being sold, which is one less problem you have to worry about! Many CPOs come with a warranty. Since these cars are usually newer, you’ll often get the remaining time of the full manufacturer’s warranty transferred to you with the option to purchase any extensions. While factory-certified cars are considered the best quality used cars, some dealers use this idea to try and trick buyers. 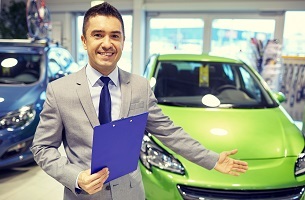 A CPO is different than a dealership “certified” car, as each dealership can create whatever guidelines they wish and use it as a marketing trick. If you want a CPO, make sure that it’s backed by the manufacturer so you know the certification is legitimate. 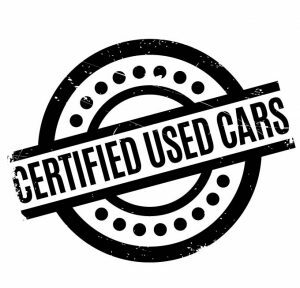 There are significantly more variables when buying a used car than with new or certified pre-owned. Because of this, as a buyer, you should do your research and due diligence before settling on a used car. Having a record of a used vehicle’s repairs proves that work has been done in the past. The more detailed the record, the better. If the buyer doesn’t have the records, this doesn’t necessarily mean that they’re trying to trick you or that it will die the moment you purchase it. But the risk is greater. However, even if you have the repair details of everything that has ever been done, that doesn’t mean the car will be in perfect condition and never have problems. And the older the vehicle, the higher that risk, which is something you should consider in your purchase price. While some private parties want to pawn off their lemon for a profit, many don’t have the resources that a dealer has to make a car look great. This doesn’t mean that all used car salesman are out to get you, but part of their marketing strategy and the resulting price you pay is that they make the car look the best it can possibly be. Because of this, you should be extra wary if a used car in a dealership looks bad; if even they have trouble making it look presentable, you’ll probably never be able to do it on your own! Get rid of that junk car and get something nice! When buying a vehicle that’s new to you, learn as much as possible about the seller, the vehicle, and the history of your specific car if possible. And if you come across a seller that has a terrible car that they’ll never sell, tell them to make the smart choice like you did and sell their junk car for cash!